Shawn Hessinger: Is Your Blog A Marble Mocha Macchiato? Does your blogging seem just like an average cup of joe, solid, dependable, but without the oomph you feel your readers demand? Well, you can turn that ordinary cup of coffee into a gourmet creation (uh, we're still talking about a blog here!) with just a few simple tricks from the blogging barista. Here goes! Two kinds of chocolate. Yes, count 'em--two! 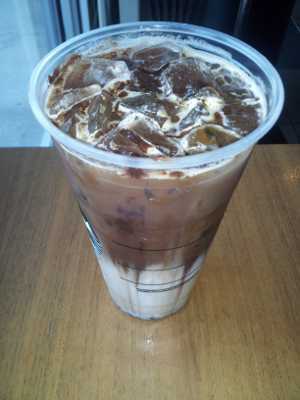 Two kinds of mocha syrup, dark and white, make this delightful drink special. Each of your blog posts needs something equally unique to appeal to readers. An interesting or provocative title, an original perspective, or an unusual way of telling your story--these are ways to give your posts that something special. Steamed Milk. This provides the real body of the drink, especially here in the US, where, despite the beverage's name meaning "marked" with milk, a generous amount is used. Your blog post needs the same full body of information and ideas to give readers value, not just sugary sweetness. Pour in a generous amount of insight and experience, then spoon on some bubbly foam—anecdotes and examples—to drive your point home. Espresso. With a sharp, bold, full-bodied flavor, a perfectly pulled shot of espresso produces the counter punch, the balance to the sugary sweetness of this delicious concoction. Your blog post needs that balance too. Give your writing a little edge. Attack sacred cows in your industry. Don't be afraid to say the emperor has no clothes! Have you figured out that a standard practice in your niche doesn't work? Don't be afraid to say so. So, how about you? Are you serving up the same ol' same ol' for visitors to your online café? Then try serving up a tempting new mixture more enticing then your ordinary cup of joe. Add a special touch to your blog posts that makes them unique and more valuable to your customers. Take a tip from the blogging barista and make your blog a marble mocha macchiato instead. HA, I love this :D great analogy. I agree. You need to tease, titillate, and make a few folks angry to really get the full flavor from your blog.